At Chevys, we live and breathe tacos. In truth, we love tacos so much that we make all of them from scratch using only the freshest ingredients. If you’re wondering what there is to love about tacos, then today’s your lucky day. Here are 10 things we absolutely love about tacos. 1. They taste great any time of day. Whether you’re chowing down on a taco during breakfast, lunch or dinner, tacos taste great no matter the time of day. In fact, you can find tacos filled with eggs and bacon for breakfast, grilled chicken tacos with fresh veggies for lunch and hearty tacos brimming with cheese, beef, and beans for dinner. 2. There’s a taco out there for everyone. Calling all carnivores, omnivores, vegetarians, pescatarians, vegans or whatever else you may identify as. Regardless of your dietary restrictions or preferences, there’s a taco somewhere out there with your name on it. 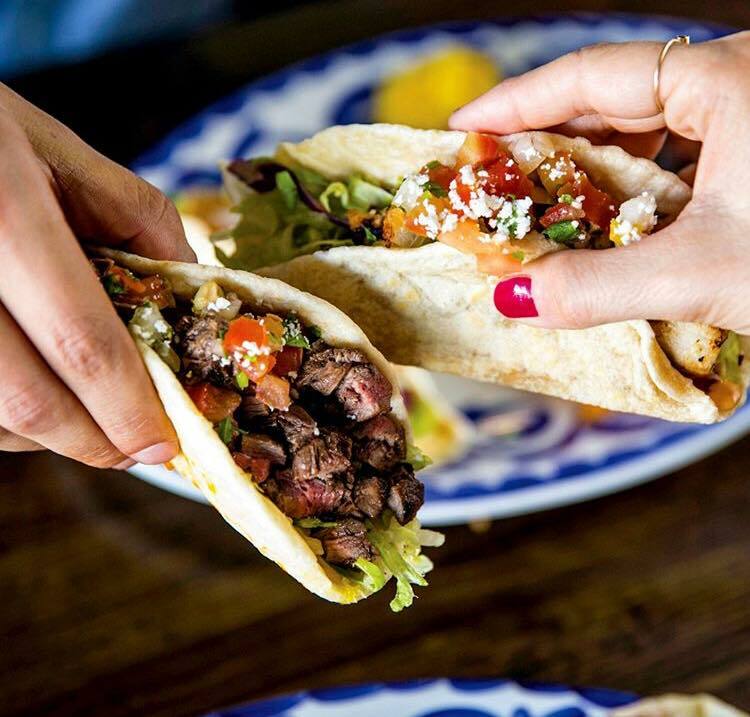 From traditional beef tacos to fish tacos to tacos filled with grilled veggies, tacos are available in many different variations to suit every type of eater. 3. There are always plenty to go around. You can never have enough tacos. And, no one will ever think twice about you going back for seconds. These perfectly portioned, folded dishes weren’t made to be a one-and-done kind of meal. So, go ahead – chow down on that second or third taco guilt-free. 4. They come with delicious sauces. Holy guacamole! Just think of all the sauces you can add to your tacos. In addition to your favorite avocado-based spread, you can enhance your meal with salsa, sour cream, hot sauce and other types of sauces to create your ideal taco. 5. They warm you up. Chilly evenings are no match for fresh tacos. Need comfort food to keep you warm? Looking to clear your sinuses? Choose a spicy salsa or layer on some jalapeños for an extra dose of heat. 6. They pair great with margaritas. Tacos and margaritas are like peanut butter and jelly. They go hand in hand. Thankfully, Chevys has a number of Fresh Mex margaritas to choose from, whether you’re looking for a classic cocktail or something with a little more zing. 7. No two tacos are the same. Tacos don’t show bias to one meat or another. There’s no rule saying that tacos must be made a certain way or with specific ingredients. Every taco is unique, like a snowflake or a fingerprint. And, as such, you can order your taco how you like, from barbacoa to carnitas and beyond. 8. They can be topped as you see fit. When eating at a restaurant, there’s a good chance that you can’t order soup without the celery or lasagna without ricotta. However, tacos can be customized to your exact preferences. Skip the tomato, hold the cheese and add extra guac. All in all, the only limit is your imagination. 9. They’re actually pretty healthy. Okay – not all tacos are healthy. But, most are if made the right way. When crafted using healthy ingredients, such as fresh veggies and grilled meats, tacos are considered a balanced meal. That’s because they offer a good balance of protein, fats, and carbohydrates. Also, they can be a good source of fiber, calcium, and iron. Tacos aren’t just a balanced meal option, tacos are also very filling. So after eating several tacos, your hunger should be satisfied for hours to come. All this taco talk got you hungry? Check out our menu, and discover for yourself what’s to love about tacos.